With US equities falling across the day, the VIX built very powerful gains, settling +24.1% @ 18.26 (intra high 19.38), the highest level since early February. 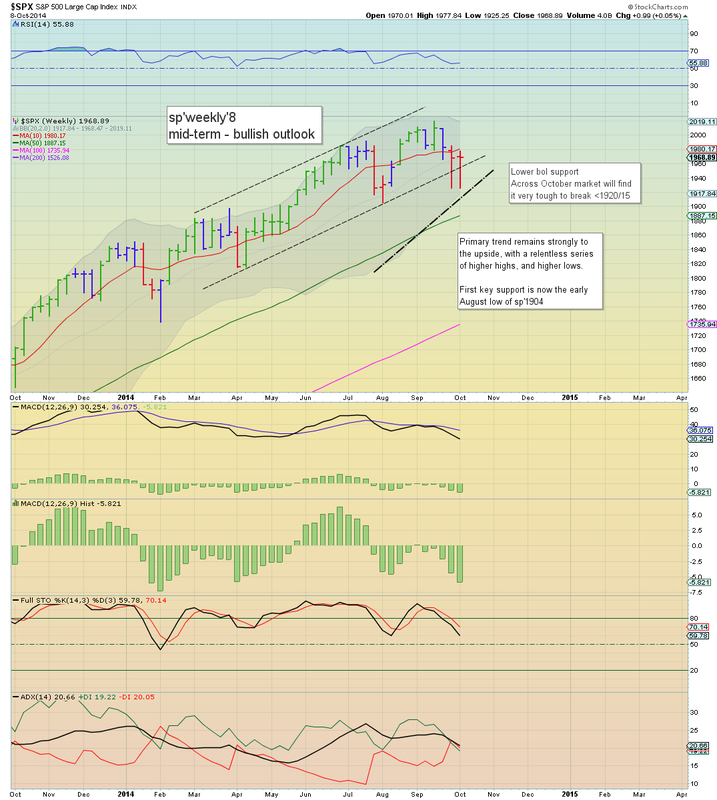 A weekly close above the weekly 200MA would be highly indicative that the equity wave from Oct'2011 is complete. *it is notable that even though we're not at sp'1904 yet, the VIX is actually breaking above the high of early August. Suffice to say, volatility is most certainly doing 'something new'. A break above 20 now looks likely tomorrow. 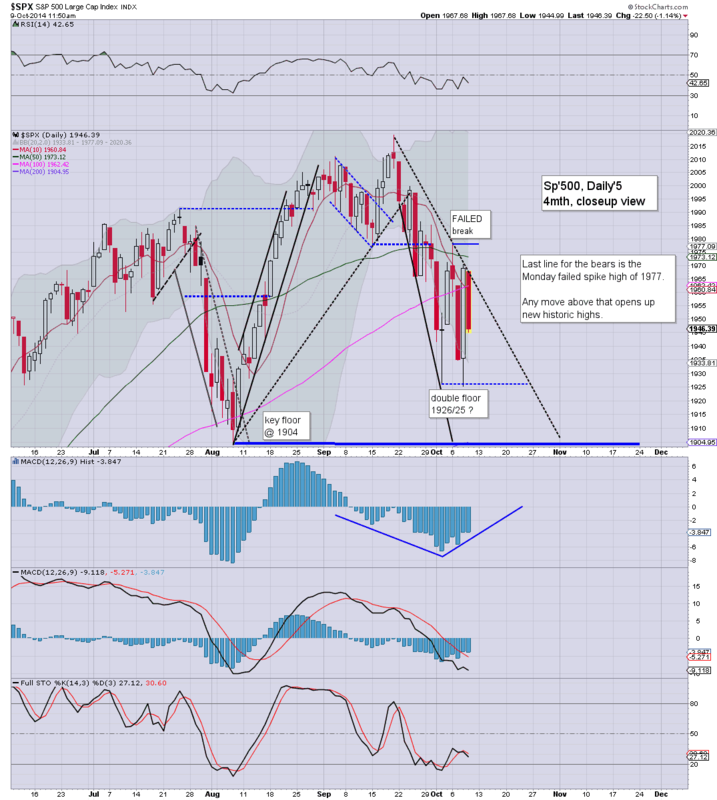 Even more critical, a weekly close above the mid 17s would be a huge technical achievement for the equity bears. 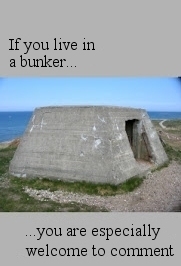 We've not seen that since late 2011. US equities opened a little lower, with downside momentum building across the day. The sp'500 closed -40pts @ 1928. The two leaders - Trans/R2K, settled lower by -2.4% and -2.7% respectively. 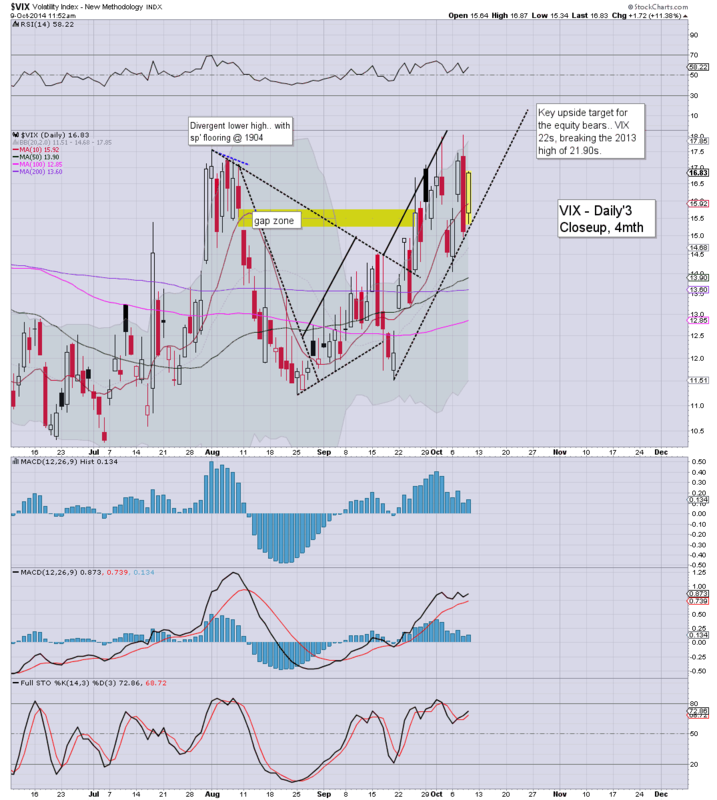 Near term outlook is sp'1904, with VIX 21/23s. A day for the bears... and these day to day swings are really testing the patience and tenacity of many. With the Fed gains turning out to be a giant failure... we now look set for a full test of the August low of sp'1904... where the 200 day MA is also lurking. On no basis do I see a sustained break below 1900... in the current wave. There is zero reason to believe we won't see further weakness into the close, a daily close <sp'1926 would be 'useful' though. VIX is +26% in the low 19s, confirming a mainstream that is getting increasingly twitchy. If sp'1904.. then VIX 21/23. For those who haven't had their heads ripped off across the past few days (I'd imagine some retail amateurs who trade futures will be losing their homes this month)... I hope you are enjoying the entertainment. As it is, this is still merely an initial wave lower... and price action does reflect that...its still not anything that dramatic.. and hell, the VIX is still below the basic 20 threshold. Overall... today was a great reversal of the insanely stupid Wednesday gains. From a pure trading perspective.. the simple trades would appear to be..
...bounce to 1970/90 zone... if market gets stuck.... re-short... with stop 1990/2000. Regardless........... enjoy the closing hour. 3.30pm... Micro up wave.. but it is of no relevance... a day for the bears. Notable weakness, coal miners, BTU -8.7%... but more on that one after the close. 3.40pm.. A daily close <1935 would be kinda important... along with VIX.. at least in the 18s. Anyway... just who would be going long right now, at least before 1904 is tested? 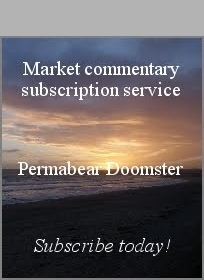 US equities remain sharply lower, and unlike yesterday, the bull maniacs don't have a Fed press release to save them. 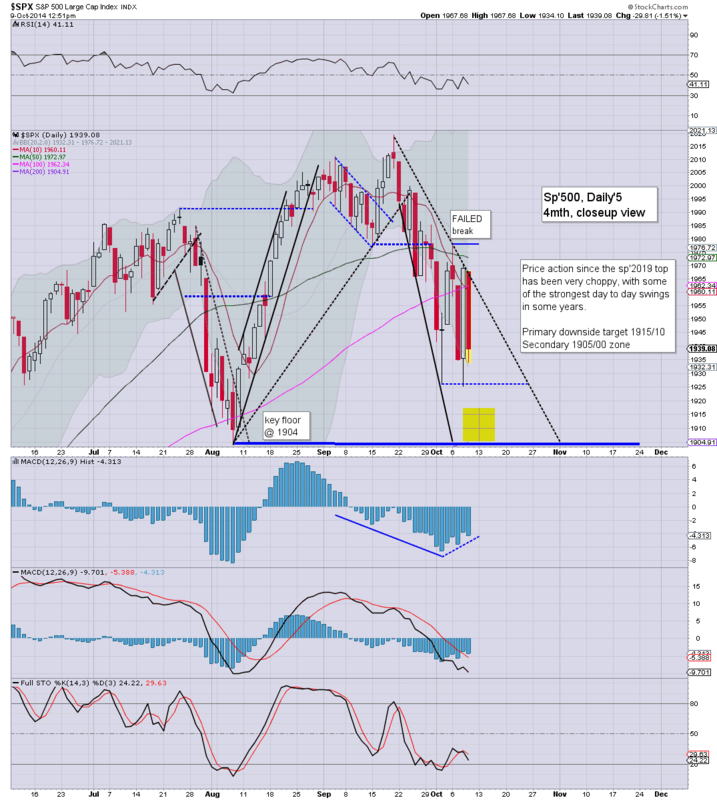 A break below the double floor of sp'1926/25 looks highly probable.. and should equate to VIX in the 19s. Without question, this afternoon is much 'clearer' than yesterday.. even though to many, this price action is getting ever more confusing. We continue to put in a series of lower lows.... 1968 is now 'last line' for the bears, but that looks very secure now. Indeed, I'd call the daily 10MA @ 1959, the short-stop line. 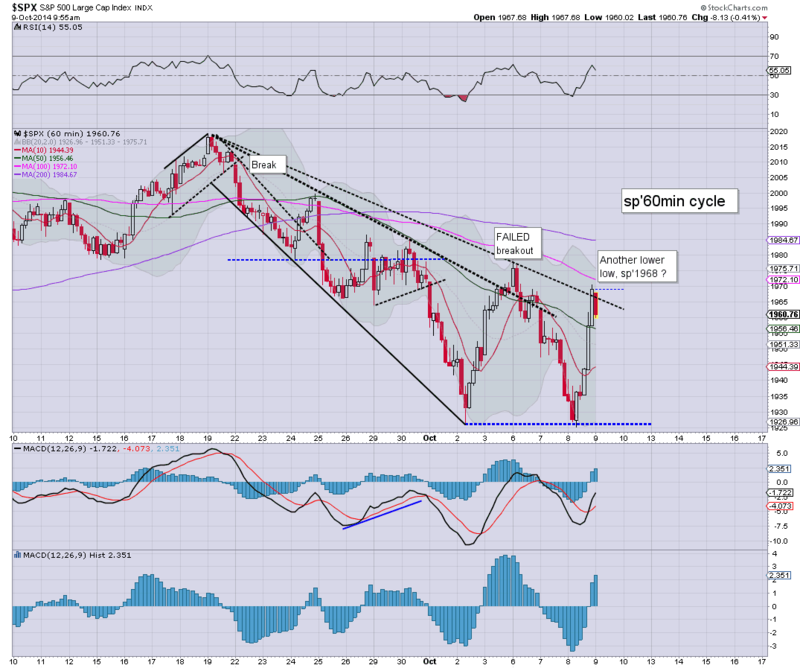 On NO outlook do I see a persistent break <1900 in the current down cycle. A weekly close >17.50.. would be VERY important, and clarify the 2011 wave... is concluded. 2.33pm... Dow -337, with VIX 19s..... good huh? The daily 10MA of 1960 is now key resistance, and considering the current declines, it sure doesn't look like we'll back over that level until late next week. US equities fail to build on the bizarre Fed inspired gains. Equity bears have achieved an important break back below sp'1950... with VIX +10% in the mid 16s. 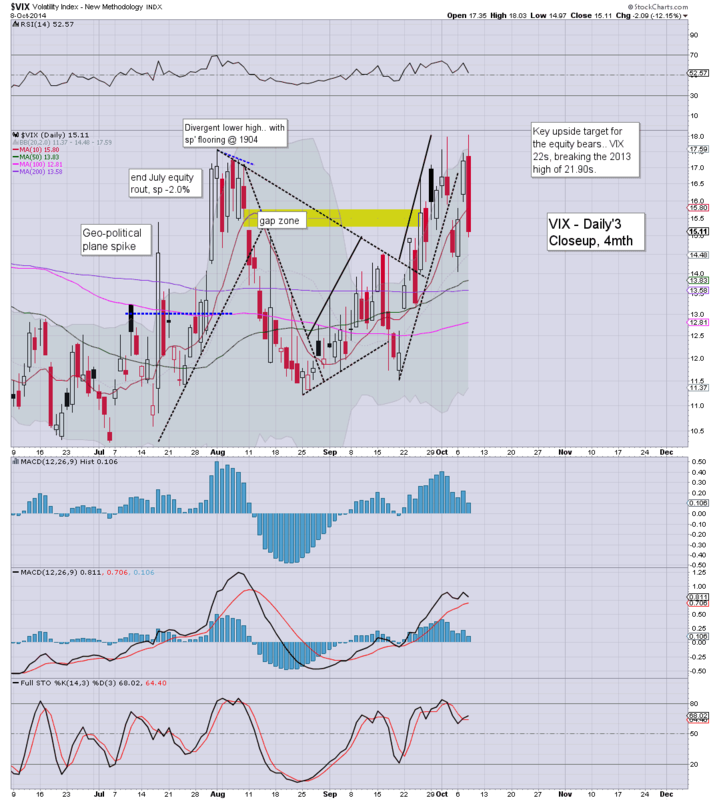 Without question, it is now critical to take out the double floor of 1926/25... with VIX back >18. So.. here we go again. 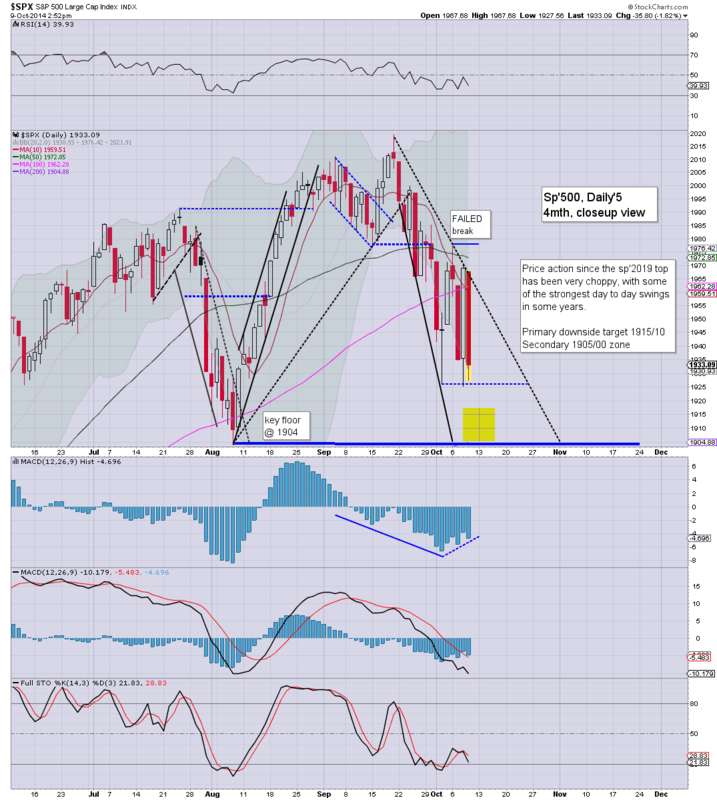 Bulls utterly absent...and market is in starting to get real ugly. Hourly cycles offer downside ALL the way into the Friday close. In theory... 1910/00..but I realise that is still a good 2% lower. Notable sector destruction, coal miners, huge declines, even the bigger companies of BTU and CNX are seeing rather extreme declines. yours.... unsettled, ill, and largely despondent. 12.31pm... where is everyone today? Seems strangely quiet. US equities see some continued weakness...but nothing too significant yet. 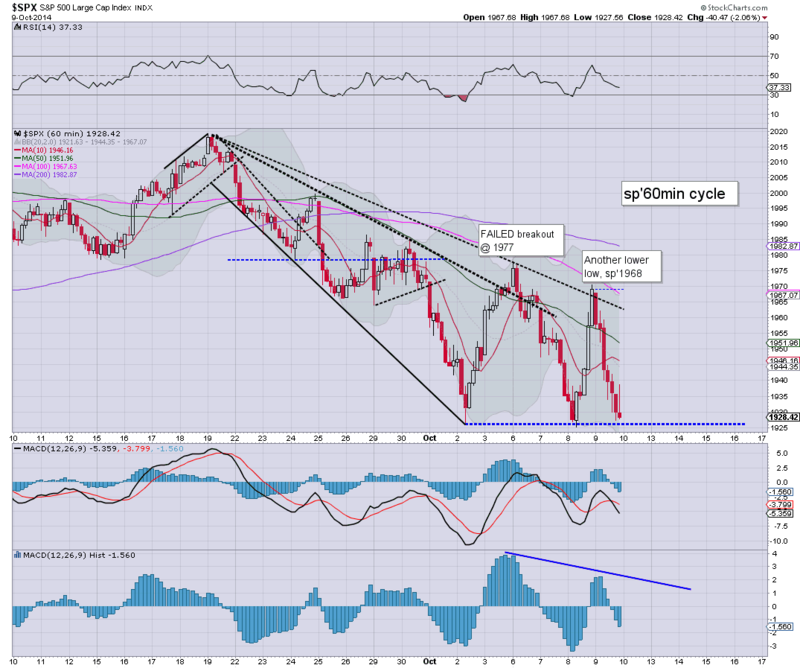 Hourly cycles are offering weakness ALL the way into the weekly close. The key resistance level is now sp'1968... whilst equity bears should be seeking a move under 1950. *I've adjusted the daily chart a little. The right side trend/resistance, now covers the Monday spike high of 1977.. with 1968 as new key resistance. Suffice to say, no one can say its boring! Energy stocks under huge downside pressure, CHK -3.5%, now in the $19s. 11.26am Bears holding pretty well.... daily 10MA @ 1961/62 is arguably a good intraday short-stop level... anything over there... would be bullish. Other than that... its a case of 'lets see how far we can go in this new down cycle'. US equities open somewhat lower, but it does very little to negate the Wednesday hyper swing-gains. Equity bears should be desperate for a daily close at least in the 1955/50 zone, along with VIX 16s. Meanwhile.. Oil remains very weak, -1.1%. It remains a VERY messy situation in my view. A lot of people are no doubt being stopped out on both sides... as this market battles to secure a double floor of 1926/25 spanning the past week. Best guess? Right now, I'd be somewhat surprised if we manage to break another new low. The one thing the bears do still have.. .the weekly cycles remain outright bearish, but more on that later. Notable weakness: coal miners, BTU -6.7%... new multi-year lows.... BTU looks headed for $5. The US Govt's 'war on coal'... continuing to show progress. 10.09am.. sp -11pts , 1957..... hourly MACD Cycle is levelling out... and there IS a full 8-12 trading hours of viable downside... ALL the way into the weekend. 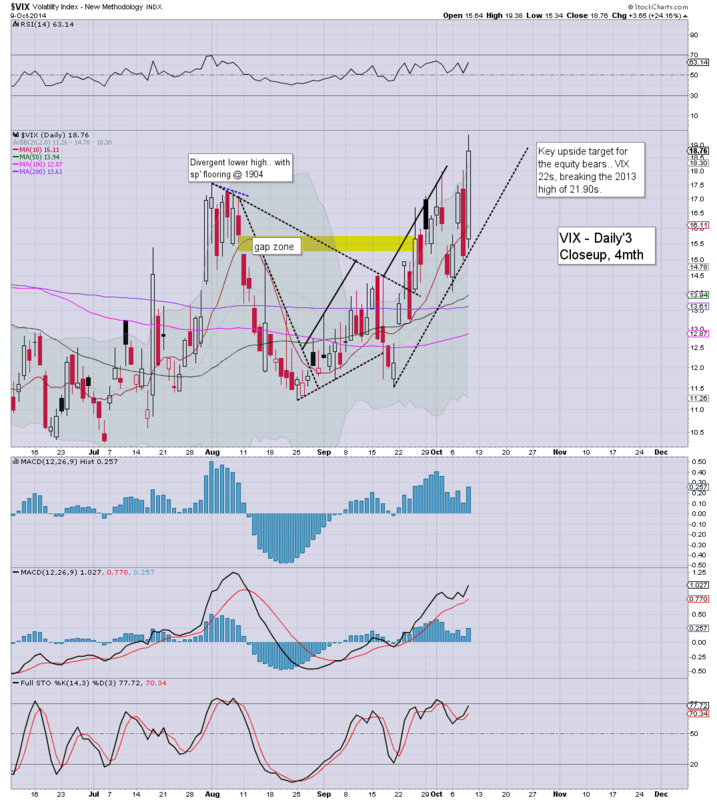 VIX showing some initial power.. +5%... set to break the 16s. 10.18am... another micro bounce... already back to 1961. 10.38am.. sp'1953... this is more like it.... bears are back... VIX +6.8%.... 16.10s. These kind of day to day swings.... not seen this price action in a long time. Notable weakness: oil/gas drillers....usual suspects.. RIG/SDRL, both -2.5% or so. Good morning. Futures are moderately lower, sp -5pts, we're set to open at 1963, which is still a very significant 38pts above yesterday mornings low. Metals are climbing, Gold +$7, whilst Oil is still unable to rally, -0.6%. *jobless:287k, a touch better than expected. Well, after yesterday afternoons madness, it is difficult to know what to say. Even if somehow we could close in the 1940s today, it would still make a very difficult situation for those who believe further weakness is still possible. 9.38am... Opening weakness, but really, not much downside pressure..and with a cluster of support around 1960...bulls are so far holding up very well. 9.45am.. Opening candle on the VIX turns black.... this bodes badly for bears... there just isn't any downside power right now. US indexes saw a very powerful reversal to the upside, swinging from a morning low of sp'1925, and settling +33pts @ 1968. 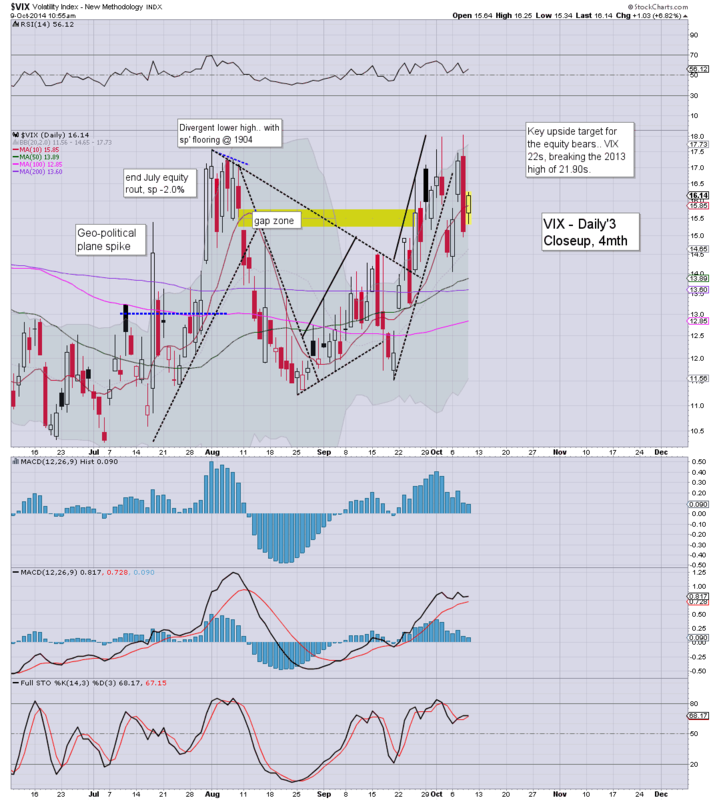 The VIX confirmed the equity gains, -12.1% @ 15.04. Last line in the sand for the equity bears is the Monday morning high of sp'1977. 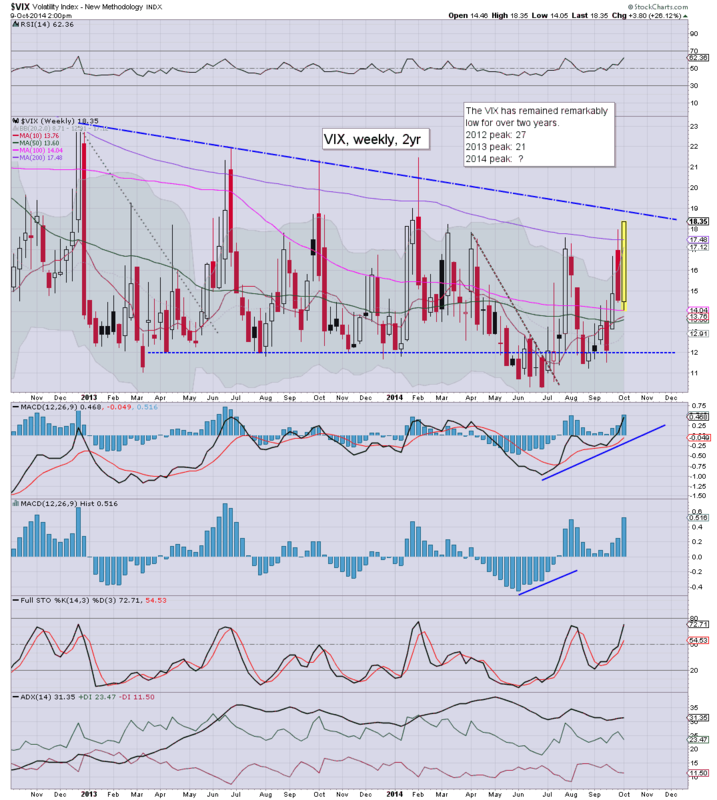 Bullish engulfing for the indexes.. and (appropriately), a bearish engulfing candle for the VIX. Frankly, it bodes badly for the equity bears. The last line now is the Monday morning high of 1977. Any move >1977.. and it will once again be a case of 'bears fail.. bulls win'. For the serious 'bear money' still holding short... it makes for a very appropriate exit level. 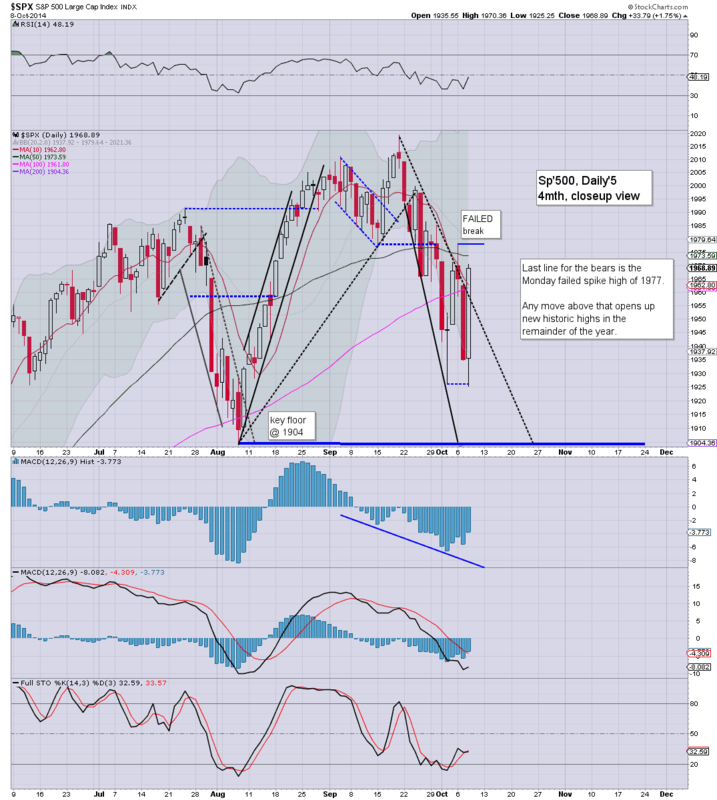 It is notable that the weekly 'rainbow' candle remains red.. despite today's powerful gains. MACD (green bar histogram) is still ticking lower, but we're on the low side, and if bears can't hold below the Monday high of 1977, then a new multi-week up cycle will begin.... with first target upside to 2050 or so. Jobless claims, wholesale trade... in the scheme of things... not much of significance. There are no less than four Fed officials speaking tomorrow, and Mr Market will be listening, not least after today's FOMC minutes. ECB chief Draghi is due to appear on some panel with Fed vice chair Fisher at 11am.